I love a good book about education, teaching, learning or anything that challenges my thinking and helps me grow. Today I finished, Innovators Mindset by George Couros. If you don’t already follow him on Twitter or his blog…you should! I highly recommend this book to every teacher, administrator and anyone wanting to create a culture of creativity. Today I floated in the pool as I finished the book. I got out at one point to grab a pencil to take some notes. I floated, read and took notes all while thinking…What if? Reading his book reminded me of a conference I went to last year and heard Angela Maiers, yes you should follow her too. She talked about #GeniusHour, which Couros also referred to in his book. I had no idea that Google allows their staff to spend 20% of their time focusing on what they think will benefit Google…it is how gmail was created. What if we provided time like this for our teacher? Innovative Learning. What if we created #GeniusHour for our kids? Innovative Learning. I’m interested to learn if anyone uses #GeniusHour at the high school level. I would love to connect with you to learn. As I reflect about the year there is something that keeps coming to the front of my mind. Last year we heard Liz Murray as she spoke to a group of administrators when I was in CSISD. The story of Homeless to Harvard was powerful. The counselor and I had spent the previous two years on another campus. During those two years we really spent time getting to know kids and their families through home visits. Last year as a campus we talked about what we believe about kids. Understanding kids home lives helps us connect with them at school. We wanted a way to get more involved by bringing school to the community. During a weekend in April 2016 a few teachers, the counselor and myself decided to spend a weekend in a Poverty Simulation at Mission Waco. That weekend CHANGED me!! We don’t have many pictures because we didn’t have our phones that weekend. The weekend was hard! The weekend was eye opening! There were tears! There was hunger! We prayed for God to move us from our comfortable! We prayed for God to break our heart for what breaks HIS! The weekend brought a sense of community we wanted for our school kids! In case you ever go on a Poverty Simulation in Waco I don’t want to ruin your weekend by telling you about it. You you can read about Mission Waco here. We came home and had a plan of how to bring school into the community. Then something crazy happened and we decided at the last minute to move to the Panhandle. God moved me from my comfortable….exactly how I prayed but in ways I didn’t expect. My heart breaks for what BREAKS HIS…kids!! This year I learned about a new community, a new school district, a new school and new grade levels. I went on a few home visits but not enough! I didn’t learn about kids home lives from meeting them there. My reflection about this year really leads me to the year before. The passion to connect school to kids home lives is still at the core of what I believe is important in our education system. Kids want to be engaged where they feel connected and they believe they matter. Now I must ask myself what am I going to to do! What is my plan? One of my favorite aspects of my job is being around the kids. Often times I find myself in and out of classrooms without interacting with kids as much as I would like. As I spend time and reflect on my goal for the remainder of the year it is important that I spend as much time in classrooms as possible. There are parts of my job that would allow me to work in the classroom rather than at my desk. Last year, I approached my principal about the possibility of a cart so I could have a mobile desk. Someone on Twitter posted about a mobile office and it seemed logical. There was somewhat of a vision of what I wanted but I could clearly define ‘why’ a mobile desk. I still don’t have a mobile cart, but I still think about it and see people on Twitter with a mobile office. The mobile cart just didn’t seem like what I needed. This weekend it came to me…..a backpack. Yes, that is all I need. Load my backpack and walk into classes. Can I provide meaningful feedback to a teacher outside of a walk through simply by being present in their class? Will teachers be open and willing to allow me to simply take up space and do some of my ‘work’ in their classroom? How will this change the interaction I have with students? Our district began an Aspiring Leaders Academy a few weeks ago. This is for anyone who desires to be a leader in our district. Currently we are reading an article and responding in Google Classroom. Leadership is not a position but it comes from a place in your heart of determination to be better. As a leader, it was my goal to commit to using this blog as a reflection tool for myself. May I be a leader that becomes better and that helps those around me grow. Leaders grow other leaders. We have all been learners in a classroom at some time in our life. What classroom stands out to you? For me, the class that stands out to me the most are those classes that the teacher not only knew my name but knew something about me. Looking back I would go as far to say as they knew something I was passionate about. How do we inspire kids to learn more? There will always be something to do…go home and enjoy your family! It happens the last Friday of every month. Students are encouraged to wear their college shirts and our counselor provides information about the highlighted college for the month. This month Ms. Grall provided a map and showed the location of several colleges. She included my Alma Mater, Abilene Christian University on this map this month. What a fun way for kids to learn about colleges!! At Sul Ross it has become a friendly little competition. 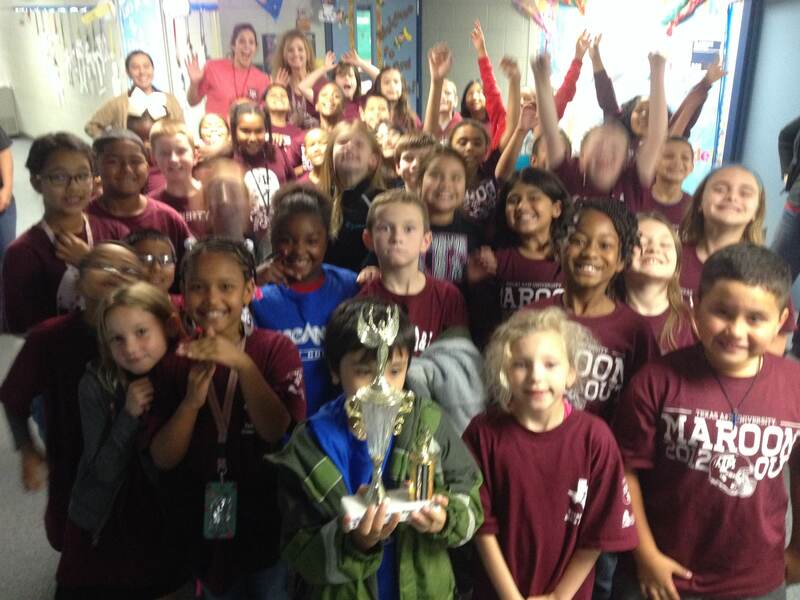 3rd grade won the trophy in November because everyone in the grade level was wearing a college shirt. Thank you Bryan ISD for making College Colors Day a priority! Chess is a game of strategy, which involves critical thinking and problem solving. 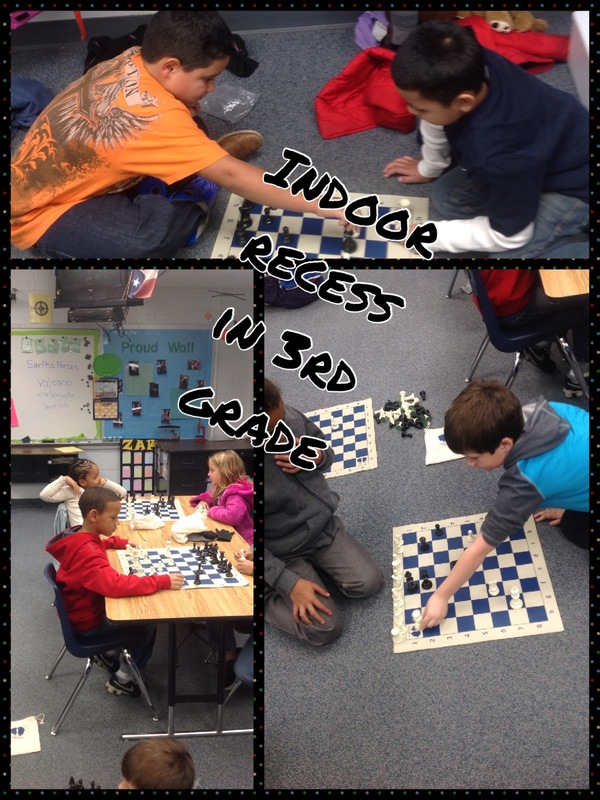 In Bryan ISD, beginning last year all 2nd and 3rd graders learned Chess through the First Move Program during their Social Studies time on Friday. Why Chess in schools? 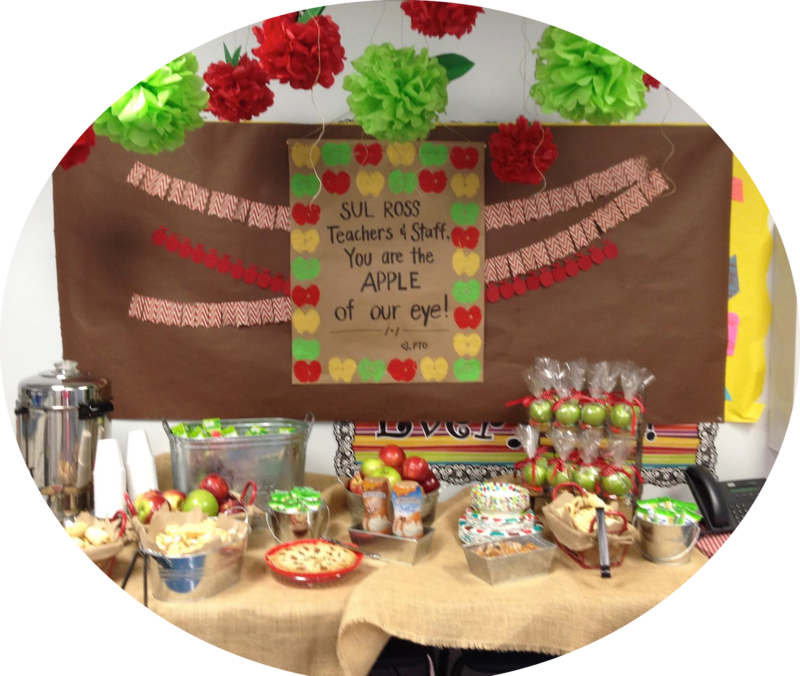 A few benefits….it requires students to visualize, focus and think abstractly. Another benefit is during those Indoor Recess Days it provides students an opportunity to challenge one another as the learn to win graciously. Thank you PTO for making our day!